Independent scientists have long suspected government researchers at NASA and NOAA have been fiddling with temperature data to exaggerate global warming. It appears they’re making “assumptions” and “adjusting” the data to suit their narrative; namely cooling the past and warming the present. Confirmation of this data tampering may now be at hand. Dr. Judith Curry reports that among the suspect practices in use are “adjusting” reliable ocean buoy data to conform to unreliable data from passing ships, altering the temperature reported by land-based weather stations, and assuming temperatures where no thermometers exist at all. NOAA rushed out a controversial temperature report timed to influence world leaders at the UN’s Paris climate summit. 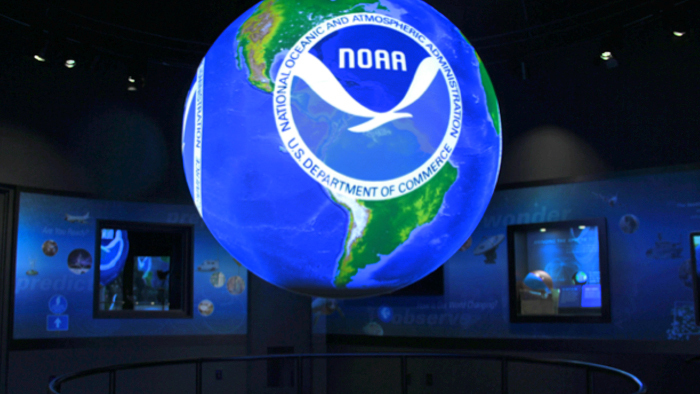 CFACT’s Marc Morano exposed NOAA’s “Pausebuster” report in 2015. Research continually shows the climate computer models the entire global warming campaign is predicated upon to be terribly unreliable. In science, researchers adjust their conclusions to fit the data. They must never adjust the data to fit a preferred conclusion – no matter how much taxpayer funding hinges on that conclusion. President Trump should order a full independent audit of NASA and NOAA’s climate data and practices. Sound policy decisions about the climate cannot be made if we cannot trust the scientific data we rely upon. Actually, David Rose lied about the “whistleblower”. That’s right: the scientist David Rose lied about – John Bates – so David Rose could write a lying, refuted screed stated that there was no data manipulation. Bates … specified that he did not believe that they manipulated the data upon which the research relied in any way. David Rose lied. There was no data manipulation. Not that it matters to denialists, Trumpkins, or the disinformation industry, but still. Nor will anyone retract their headline, right CFACT? Dano has a history of redacting inconvenient info. I pre-bunked this already in the links. Bates had absolutely no idea what Karl did or didn’t do (well, besides demote Bates) because Bates was not part of any process, ever. Bates wasn’t in any room for any process or any meeting. Ever. Bates account is robust. Karl did not follow the rules for archiving. Some co-authors of K15 disagreed with Karl’s approach. It certainly warrants review. But, we doubt Dano will agree, since he was in the room for all the meetings. Again, you are already refuted. Repeating it won’t make it true. Understand, Dano, I was not talking TO you. I was talking ABOUT you … to more open-minded individuals. We have long known your position. It’s one of activism and obstruction, not science. Your opinions no longer matter and your comments are ignored. Well, except to use as an example of intolerance. You have made yourself irrelevent in the discussion of science. Bates said in an interview Monday with The Associated Press that …Karl didn’t follow the more than 20 crucial data storage and handling steps that Bates created for NOAA. He said it looked like the June 2015 study was pushed out to influence the December 2015 climate treaty negotiations in Paris. You have nothing. You are refuted. Run along now, lad. I don’t there’s much question about what happened to the pausebuster paper. Shoddy data compilation and cherry picking in order to arrive at the desired result before Paris. So ‘effing obvious. Kill it with fire. You made up your assertions. You can’t show they are true.